Sleeping Beauty is the classic fairy tale known the world over, or is it? In fact Sleeping Beauty comes in many guises with twists and different cultural takes along the way. 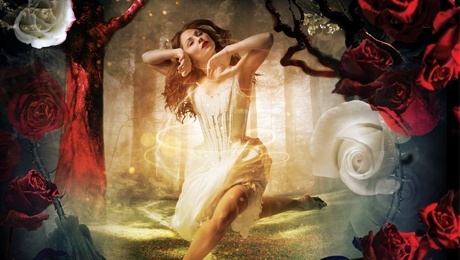 As ever with Matthew Bourne, his re-imaging of this well-known tale injects a darker undercurrent beneath the ornate scenery, opulent costumes and exquisite dancing. Bourne takes influence from various incarnations of the story to create his own unique twist where the King and Queen in their desperation to have a child make a deal with the dark fairy Carabosse but they fail to show their gratitude sealing their baby's fate. Sub-titled "A gothic romance" this creative, fresh re-telling of Aurora's tale begins in 1890 before finishing with a flourish in the present day. Lez Brotherston's intricate costumes and eye-popping set design set the perfect scene. The costumes flow beautifully around the dancers, almost becoming an artform in their own right as they fluidly move around the body in an almost magical fashion. It's a testament to Brotherston's talent for designing costumes for dance that every outfit beautifully enhances the dancing. From the opening scenes the production challenges convention with inspired use of puppetry bringing baby Aurora to life with cheeky personality and wit. 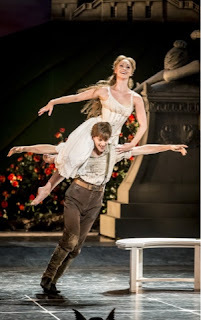 As she grows up that initial glimpse into Aurora's mischievous and free-spirited side remains and Ashley Shaw creates a strong-willed princess pushing the boundaries of her charmed life by pursuing young love with Leo the Gamekeeper, performed by Dominic North. It's impossible not to will the two to beat the odds and Leo's decision in order to survive the 100 years is compelling and creates an unexpected end to the act. As Carabosse and Caradoc Tom Clark creates an immensely dark character bringing swagger and foreboding whenever he appears on stage. The entire company are supremely talented and dance different roles on different nights - so don't forget to check the cast list. The range of dancing the cast undertake is breathtaking and another reason why Bourne productions always stand out. This production is truly exquisite and a fantastic re-telling of a beloved classic. Sleeping Beauty is at the Theatre Royal until Saturday 21st November.